If you had the ability to put together a subscription crate with any dream items of your choice, what would you do? That’s what the box subscription service Loot Crate is hoping to find out. I recently learned about their Dream Crate project and thought it would be fun to design my own personal crate. Read on to see what is in my crate. 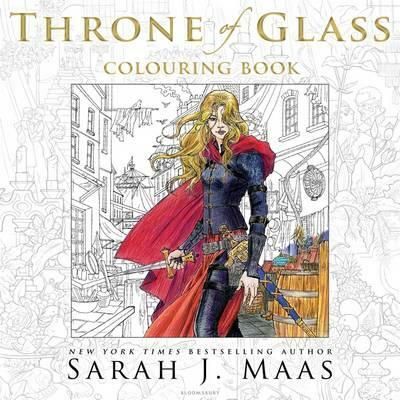 The Throne of Glass Colouring Book was released recently and looks amazing. There are so many scenes in this series that I hope are in this book and I just want to see what it looks like. This aspect also keeps the crate book related because this is a book of sorts. 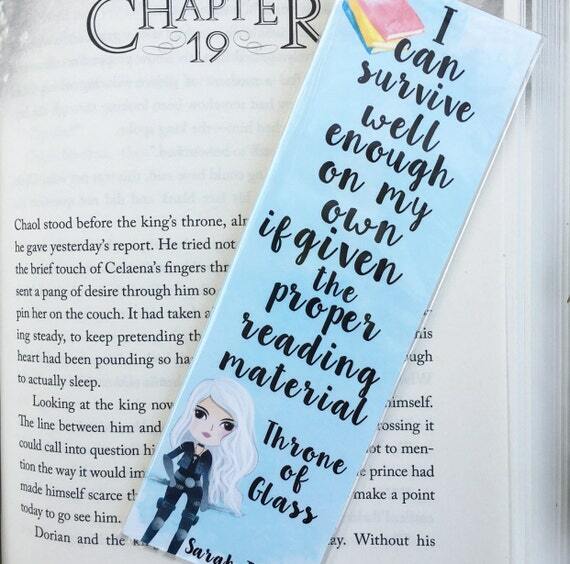 This Throne of Glass T-shirt which I found online through a link on the official Sarah J Maas website. The colour parts of the shirt are made up of words from the book and it comes in various other colours. T-shirts are regular parts of loot crate boxes and this T-shirt is super classy. 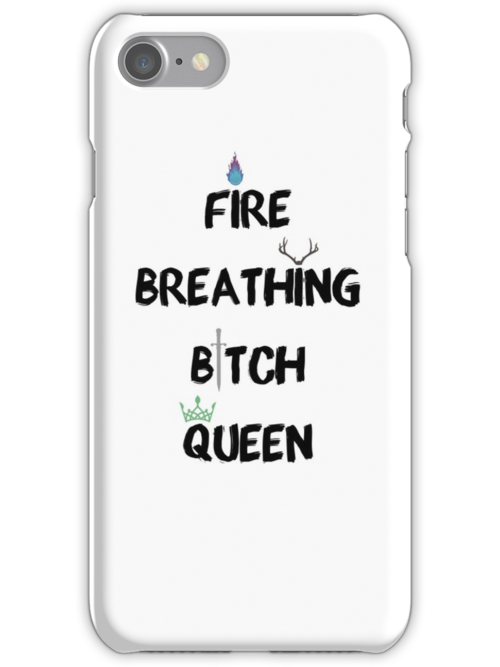 This Phone Case featuring a quote from the series about our main character. It’s nice and simple, but still super cute. This is the sort of thing that other people in the fandom would get, but to most it would just be an interesting phone case. 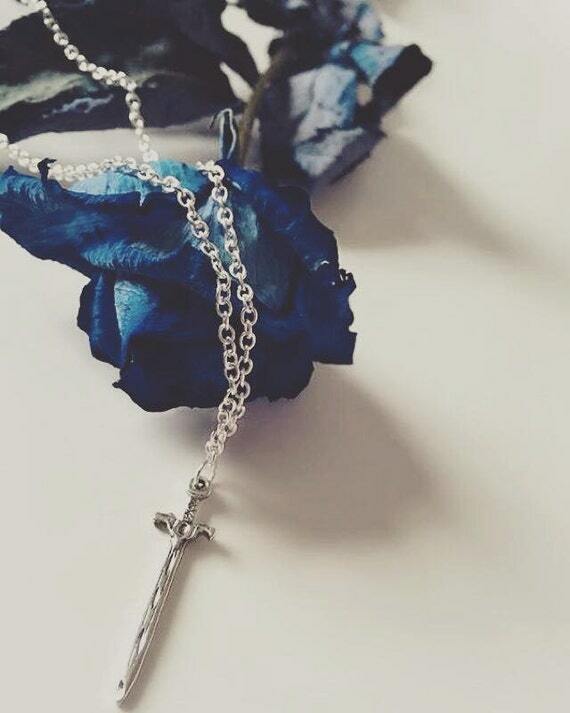 An amazing Necklace that I found on etsy. It features a sword that appears to be inspired by the one on the cover of Queen of Shadows. This is my sort of necklace, it isn’t too big or too small and it has a simple colour scheme that goes with pretty much anything. 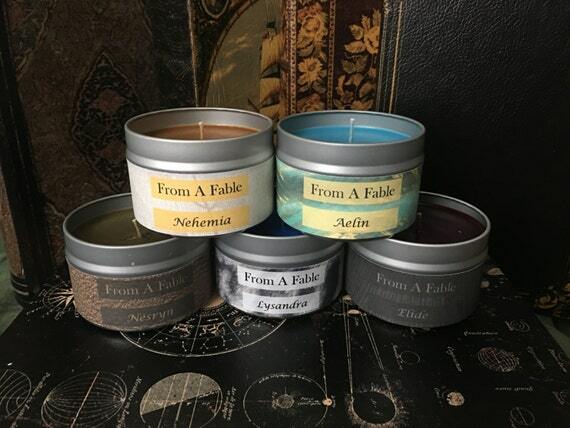 These Candles which I found on etsy are based on the women of the series, Nehemia, Aelin, Lysandra, Elide and Nesryn. I love candles, I have so many but you can never really have enough. And what sort of book blog would this be without adding in one more book accessory. I found this bookmark which I love. It has a quote and a super cute cartoon of Celaena. So those are the objects I put in my loot crate dream crate. I’m rather proud of the little selection I put together, now all I need is for the TV show to be released. What would you put in your dream crate? What do you think of my selection? Leave me a comment to let me know. Yes. So much yes. If this becomes a thing, I need it. Ahh i know right, I can imagine all the scenes playing out perfectly in a tv show. I haven’t seen/read Game of Thrones or any of Cassandra Clare’s novels yet but I have heard so many good things about them and I feel like Game of Thrones would fit in well with this box!